Before you make the significant investment in a new roof, know what to look for in a roofing contractor. There’s more to quality roofing than meets the eye, so don’t let low prices or advertising be the deciding factors when you’re ready to hire. Check references. Great contractors want you to see the work they’ve done, so the contractors you’re talking to shouldn’t hesitate to give you the names and addresses of past customers, particularly those who have the same type of roof you’re considering. Ask them if they would work with the roofing contractor again in the future. Get proof of insurance. You should insist that the roofing contractors who make your short list provide you with copies of workers’ compensation certificates and liability coverage. (The former covers the roofer’s employees while on your property, while the latter covers your property itself.) Confirm that the coverage is in effect and will be throughout the duration of your project. Working with uninsured contractors is too great a risk — it could leave you involved in legal action and/or liable for injuries that occur on your property. Verify proper licensing or bonding. Requirements for licensing can vary from state to state, with some having very specific rules. To get this information, check with your state’s licensing board or Department of Professional Regulation to make sure licenses are in effect and up to date. Ask about relationships with manufacturers. Some types of roofing require specialized installation expertise to ensure their durability. 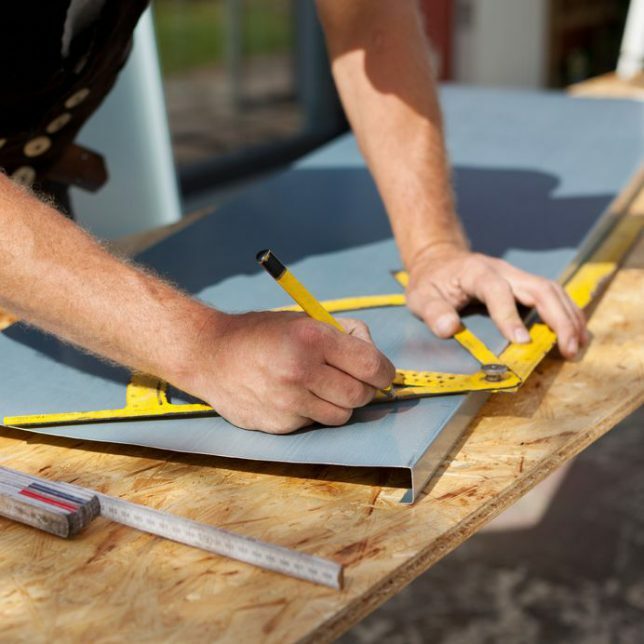 Many manufacturers license or approve contractors who are qualified to install their products, so ask potential roofing contractors for this information. Research reputations and associations. First, verify that the contractor has a physical and permanent place of business (and not just a Post Office box). Also check for a working phone number, tax ID number and a business license. Find out if the contractor belongs to national or area industry associations, which can be an indicator of professionalism, and check for complaints that may be on file with your area Better Business Bureau. Understand the warranty. If there is anything you don’t understand about the language in a contractor’s warranty, ask about it. Pay particular attention to descriptions of events or circumstances that would void the warranty. Scrutinize your estimate. An unwritten estimate — or one that simply gives you the total for labor and total for materials — is unacceptable. Get as detailed an estimate as possible with specifics on associated costs such as removing your existing roof, hauling away old materials and debris, and labor and materials on replacing any soft or rotten roof decking. Ask about safety. Reputable roofing contractors never compromise on safety. Ask potential contractors about their safety training programs for their employees and what measures are taken on the job. Go over the details. To help prevent surprises, also ask the contractors you’re interviewing what they’ll do to protect your property (such as landscaping or gutters). Find out how refuse material is handled and whether a container will be on the site, and note that the contractor should not require you to supply it. Ask what will happen if bad weather occurs in the middle of your project and how they will cover your roof-in-progress. Lastly, make sure there will be a project manager available on site who can answer your questions or respond to any concerns you may have. Don’t have time to vet roofing contractors? Contractor Connection has done it for you. Our matching service saves you from spending time researching and talking to multiple roofing contractors. We’ve already vetted every contractor in our network of experts and match you to the one who’s best for your project. Our contractors meet tough insurance company requirements, and back their work with a three-year warranty on workmanship that’s the best in the industry. Ready to start your project? Simply enter your ZIP code at the top of the page to begin. I’m ready to find contractors near me!